…is a series of artwork created by Trista Bailey, which feature designs that align with nature, animals, and eco-friendly messages. With a blend of empathy and quirkiness, the art will be visually balanced and aesthetically pleasing, along with attention to detail, and full of color. Bright, cheery, whimsical, uplifting, inspiring & enlightening. To celebrate the life of Earth through compassion, self-expression, and art of kindness. Any products are not yet available for purchase, as I am still creating the initial designs. However, when they are ready, they will be available on Society6. Sign up below for updates. May or may not be a subtle play on Co-Exist. First of a Zodiac series. 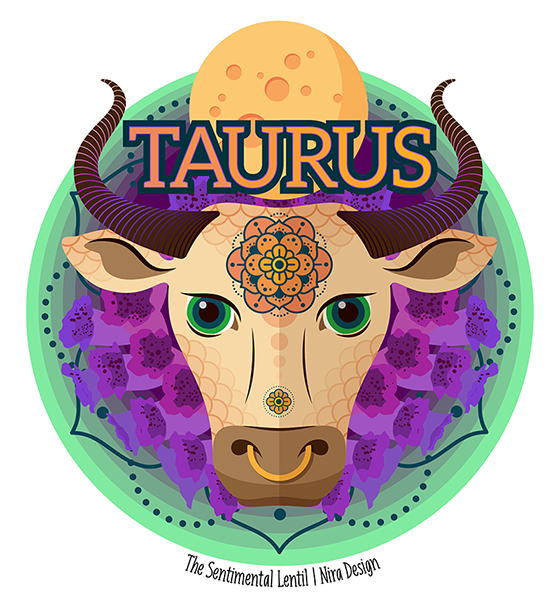 Each sign will feature its planet, birthstone and associated flowers/plants. any new Sentimental Lentil products?